Justice League and Trexi join forces! Awesome mini-figure of Batman based on his look in the Batman - Urban Legend comic! Collect all of the Justice League Trexi Mini-Figures! Justice League and Trexi join forces to bring you a crime-fighting range of well-loved DC characters on the timeless Trexi platform! Featuring his iconic look, colors, and logos as he appeared in the Batman - Urban Legend comic and finished with a cool clear look, the Batman Urban Legend Justice League Trexi Mini-Figure brings strength, power, and courage to your collection. 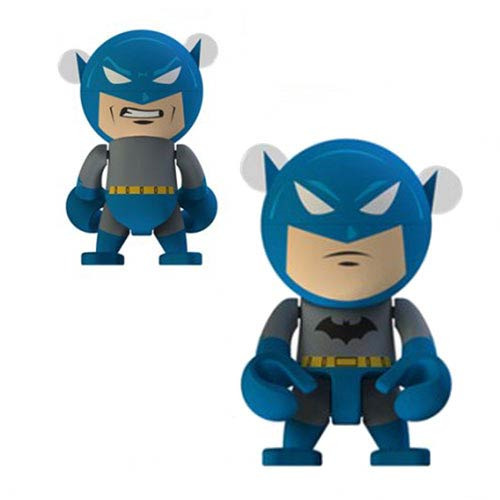 Measuring 2 1/2-inches tall, the Batman Urban Legend Trexi brings you the Caped Crusader with a sleek round head and nifty movable limbs for enhanced posability. Made from high-quality plastic. Collect all of the Justice League Mini-Figures by Trexi! Ages 15 and up.